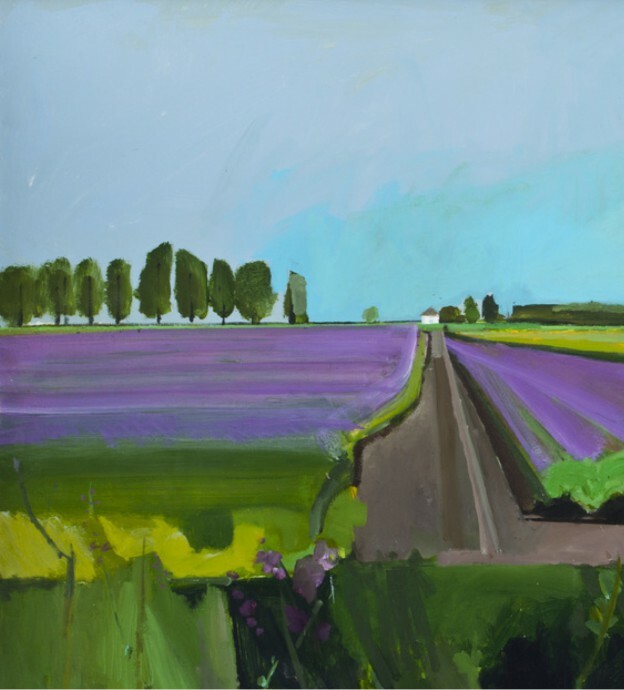 Vanishing Lines is a current exhibition by the Norfolk-based artist (and friend) Fred Ingrams. Painting en plein air, Fred captures the flat marshland typical of the region in vivid and dramatic colour. until Sunday 17th May 2015. This entry was posted in bits + pieces., in the gallery. and tagged art, Art Bermondsey, exhibition, Fred Ingrams, gallery, Richard Diebenkorn on May 15, 2015 by owls house london..
what an interesting comparison. thanks for the reference – I haven’t yet seen the Diebenkorn. what is your opinion of the style? The style of your friend? Tell me what you mean by this, please – but, frankly, I don’t feel confident forming opinion before I see the work live, because paint density, true colours, scale.. everything is important. I’d prefer to write my answer in a letter, perhaps, for your eyes only as they say ) Can I have your e-mail address? Shame I’ve missed this. Fred is certainly a very talented person. Love the colours of this painting, and it reminds me of the Polish countryside, for some reason. Feeling nostalgic.